My name is Jure Mudronja Pleša, I am about to finish my Erasmus+ internship as a Project Support Assistant at EprojectConsult. After 6 months with EprojectConsult, what to say at the end? It was fruitful period of my life, I got an opportunity to improve myself, both professionally as well personally. Since the beginning I have felt as an equal member of the team not as an intern at all. In last 6 months I have been involved in more than 40 Erasmus+ KA1 project. Also, I have been involved in KA2 projects such as ANLA – A new learning arena and Access to VET. Moreover, it was my great pleasure participating in very interesting project called Young Digital Leaders, that was cooperation between ISD and EprojectConsult, supported by Google. During this 6 months I also had an opportunity to travel and visit many interesting places all over the Sicily: Palermo, Cefalù, Etna, Taormina, Aeolian Islands, Syracusa and Noto. I am going back to Croatia enriched in so many ways, with bittersweet end. Sweet because I am going home after long time, but bitter because I am leaving behind people who have been my colleges, friends and family for the past 6 months. I am taking this opportunity to thanks every each of you! Many thanks to il Postino as well, for his resounding “BUONGGGGIORNOOO” every morning. P.S. I wish you all luck with this baby boom in the office. My name is Magdalena Ivanova.. And now if you think my name sounds Russian – it’s not! I am 100% Bulgarian, from the capital – Sofia. I’ve just graduated my Bachelor’s degree of finance in Bulgaria and 2 weeks after I was flying for my new adventure in Sicily, Italy. I spent two intensive months as an intern in EProjectConsult. I can say that this experience changed me a lot – I was used to partying a lot, being surrounded of many people, exploring as much as I can (as an ex-Erasmus student and ESN member). And in Sicily, I discovered a completely different side of life – working in a real company, speaking another language, being part of an international team, learning to be responsible and to incorporate with new people, managing my pocket money and chilling. I haven’t expected how different could be Erasmus education and Erasmus internship – two completely opposite experiences with the same name. For sure, both were really useful for me and helped me to become the person, who I am now. And if somebody doesn’t believe that “dreams come true” – yes, they do. My dream became real – to did an Erasmus in Italy and to practice a bit more my Italian language. I think that will be the most important asset for me – step by step, I crossed the border and now I am speaking more Italian than before, even if it’s not correct, I am keep trying. To live in a foreign country and to have the possibility to speak the language is the best way to learn … and to discover bigger part of the lifestyle, history, economical situation, etc. of that country. And in the end, last, but not at least, GRAZIE MILLE, Federica for giving me that chance to become a part of your team and to learn that much in the company. Everything that I’ve got as an experience there, will help me a lot to choose my Master’s and to have clearer idea for my future career. I am really happy that I met so many amazing people (especially my Bulgarian babies ) in Barcellona P.G. and I am sure we made some great friendships and memories together. Also, I am grateful that I had the chance to travel around and to visit so many beautiful places like Aeolian islands, Messina, Palermo, Cefalù, Syracuse, Noto, Catania, Taormina, Etna, etc. .. AND the food … arancini, cannoli, granita and gelato– sounds like Paradise, right?! Hi, I am a young & active Vietnamese guy studying in Finland. My name is Nguyen Minh Huynh. Do you feel it is difficult to remember or pronounce it? Yes, it is, but just a little bit J Just call me Huynh. So, much more easier now, right? I am really excited to share our thoughts and opinions about my internship here, and it was extremely amazing and fantastic journey – A Journey with new friends and new experience. I did my internship as Project Support Assistant at EprojectConsult from June to August 2017. It was not a long time but it is really so sad to say good bye to my colleagues and beloved Sicily city. I would say that coming here for internship is one of my best decisions that I have ever made. It was going great much more than I had expected and this period will be my unforgettable memories. Everything here made my summer fantastic than ever. Working at EprojectConsult was a luck to me that I had a great chance to gain deeper knowledge about Project Management, acquire more hands-on skills, enhance my competencies and be acquaint to work in such an intercultural team. I also understood my strengths and weaknesses more that are really helpful for my career path at a professional level. Here, I can easily get unlimited assistance from experienced, friendly and super nice colleagues that they are always willing to support at any time you need without any hesitation. All your ideas are welcomed enthusiastically and you always have the room to freely innovate. With their inspiration and motivation, I knew how to embrace my capabilities and find the solution to tackle the problems. EProjectConsult is also a live learning language environment that we can learn, practice and exchange languages together though English is still the main language in the office. For me, it is indeed a dynamics working environment where all people are innovated and task-oriented. Sicily, how I can say? It is extremely beautiful Country that no word can express all its beauty. You will not never feel alone here because there are always slots for you to travel with many different groups EprojectConsult coordinating during the weekends. And the excursion are almost free. There are still so many attractive places that I haven’t explored yet, however, save the best for the last. I will come back to continue my travelling experience at earliest time as I can. Sicilian people are very nice, welcomed and helpful. I totally enjoy a lot here regardless of language barrier, it seems not big deal for me at all. Going around the nightlife street with a glass of beer, enjoy aperitivo every Thursday evening and live music concerts were that make me really relaxed and pleasant. Thanks for all my colleagues, my bosses, my international & local friends made such a wonderful summer internship with awesome experience. I miss all of you. I will come back very soon! If you are passionate about Project Management, would like to work such an intercultural dynamic team to broaden your knowledge and boost your competencies, EprojectConsult is the name that should be in your mind now. My name is Ciobotaru Victor, I did a 3 months internship at “A Rocca” Artistic and Cultural Organization, in their international department called EProjectConsult. It was by far the most fruitful experience abroad for me, both professionally and on a personal level. The company is based in Barcellona Pozzo di Gotto, a beautiful small town in the province of Messina, located on the shore of the Tyrrhenian Sea, on the north coast of Sicily, the largest island of Italy and in the Mediterranean Sea. My period was from March to June, so the weather was ideal for me. The organisation is a great place to work in, since the staff is multicultural, young people ready to learn, improve themselves and share their knowledge and experiences. I didn’t have problems adapting here, since the staff was very open and helpful, assisting me in all the tasks I had to carry out. The greatest part for me about my stay was the fact that the ” A Rocca” Artistic and Cultural Organization offered me the opportunity to travel and explore the wonders of this beautiful island. Therefore, I was on Etna climbing the Silivestri Craters, in the old city of Syracuse admiring the Cathedral in Piazza Duomo, I saw one of the most beautiful beaches in the small city of Cefalu, I tried the local fish in the markets of Palermo, where I also went inside the magnificent Palazzo dei Normanni, I witnessed a live eruption on the Stromboli Island, I took a walk in the beautiful Villa Bellini in Catania, I admired the breathtaking views in the Pearl of the Mediterranean, Taormina and many more. Moreover, I feel I gained a lot of self-confidence and personal responsibility, because the work was related to project management in the EU field of Education, therefore I had the opportunity of helping others finding work in Barcellona Pozzo di Gotto, through VET mobilities offered by the European Commission, and put in practice by the staff at EProjectConsult. I want to thank Antonino Pietrini and Federica Sottile for welcoming me here, and also the staff who was very nice to me: Joanna, Errol, Serena, Mari, Teruko, Loris, Daniele, Giusy and, of course, Tommaso . I hope I will see all of you soon! Ciao! Sicily is an amazing island, there is so much to see and experience here. I have visited a lot of beautiful places, including Etna, Taormina, Palermo, Cefalù, Panarea, Stromboli, Mondello, Milazzo, Syracusa, Noto and Castroreale. But I still have so much left to see, so I guess I have to come back to visit Coming from Finland, the weather is of course also amazing. I think it has rained only two times during my time here, Sicily equals sun! And the food…no words, pizza norma became my personal favourite! Working at EProjectConsult has been so much fun. From day one I felt as a part of the team. Federica and Nino are great bosses and I have very much enjoyed working for them. The atmosphere at the office was good, and it always felt nice to come to work, even with just a few hours of sleep sometimes. The job tasks were various and it was nice to notice that with time you also gained more responsibility and different tasks. If you had ideas, they always listened and really made you feel like an important part of the team. And work never got boring, especially thanks to the cutest and craziest office dog Tommasino! This experience wouldn’t have been nearly as great as it was without all the people I met. I became friends with both locals and colleagues from all over the world. For example with Mari we didn’t even have a common language in the beginning but it didn’t stop us from talking, my only problem with my office neighbour Loris was that he never accepted my payment for the coffee he bought and Serena and Teruko were the best wine company! Sometimes I even forgot Nino and Federica were my bosses since they were always so nice, and just overall great people. And last but surely not least, Joanna, my personal mentor, roommate and best friend here. I really wouldn’t have survived without her, and surely wouldn’t have experienced as much as I did. She thought me so much and it was fun to work with someone you could clearly see loves her job and is great at what she does. Overall my time here has been amazing, I will for sure miss Sicily and even more the friends I made here. I have learned a lot and gained experiences for life. Hey, my name is Luke a 22 year old Maltese. From where should I start? “La Bella Italia” a place rich with glorious food, majestic places and warm people. My experience has been mostly great while I was getting a taste of the Italian way of life, which in a way is very similar to the Maltese. Being both Mediterranean welcoming is a trait found in both our people so I wasn’t surprised when I found how cheerful the Italians were while hosting me. Something I wish to mention is the nightlife at Barcellona Pozzo di Gotto. While I am more used to clubbing here I found an exquisite alternative which included going to a local bar having some drinks and listening to live music from all over the world, by artists being international. The food looked, smelled and tasted wonderfully. I had dishes like the typical Italian Carbonara (I am in love) to the pizza from a local pizzeria. I also tasted typical Sicilian foods like the ‘Arancini’ and the ‘Pane e panelle’ (a bun with chick-pea fritters inside). The wine was divine at just a fraction of the price. I also had amazing desserts like the ‘Granita with brioche’ (flavored ice with cream on top and a buttery bread on the side). I also enjoyed going to the local markets were I bought different fruits, traditional snacks and salami/cheese. This let me meet the typical street people both customers and vendors while getting to know more about how similar Italians are beside the Maltese. My work here was related to the administrative and marketing procedures happening within the company as I helped in every way I could. I can say I found new friends in these colleagues which although I only spent 3 weeks with it still feels so rewarding. I feel that I have reaped a lot from this experience and I also feel that this will help me in my career as I got to know more how a business works from day to day. My internship experience at EProjectConsult was better than I had expected. I really appreciated my job, colleagues and the office environment. I think it was a great choice for my personal and professional improvement. From the beginning, everybody was very nice and tried to help me as much as possible. My colleagues and supervisor taught me everything I needed and at the same time let me bring my vision in the working process. Gradually, I was managing all the activities assigned to me on my own. I learnt many new things and tried myself in many projects and activities. The working team and environment were constantly encouraging me to widen my outlook and developing my skills. The projects run by the company have truly multicultural character, in this way I explored a lot about many cultures in and outside Europe, as well as I met lots of interesting people from elsewhere. Saying that I really liked Sicily, it means nothing… I absolutely loved this island! Sunny, warm, amazing nature combined with incredible food and friendly, always smiling Sicilians. During my weekends, I was used to travel and discover different cities in Sicily, and many times I joined the groups’ excursions organized for the trainees in the frame of the Erasmus+ projects. I was living with my colleagues; hence we became friends out of the office as well. Even if the city of Barcellona P.G. is not that big, it can offer pretty nice events and activities such as concerts, festivals and exhibitions. I will never forget the time I spent at this wonderful place! order to do an internship in EprojectConsult. I have spent two months in Sicily. For some, it might sound like a short period of time but thanks to Erasmus Programme and EprojectConsult, this short period of time has been the best experience of my university years. It has been the greatest for I am only 22 and I have found the opportunity to go abroad alone and work in a friendly environment. In other words, I have found the chance to get out of my comfort zone which has been mostly confined with theoretical knowledge in the university and have taken a step into the practical and sometimes challenging working life for the first time. For an undergraduate student, this must be a small revolution indeed. Furthermore, I have met beautiful and thoughtful people here in this office and also I have gained working experience and new information regarding the process of project management. Surely not all part of the internship process was about working but also travelling and discovering new places and tastes. Thanks to EprojectConsult, I had the opportunity to participate in excursions that involved places such as Taormina, Cefalù and Castelbuono. I have seen stunning and admirable landscapes in these cities. I would like to conclude by making a small recommendation: If you have the chance to go abroad, pack your stuff and go without thinking twice. I hope that it will be your best experience in the years of university. Lastly, I would like to say thank you to all team members for their help and to both Federica and Antonino for giving me the opportunity to work with them. How to put 3 amazing months in a short summary? How to put all the impressions, inspirations, tastes, people and emotions in words? Looks at least as difficult as it was to leave Barcellona Pozzo di Gotto in October. Sooo my name is Saci, I live and study international relations and human rights in Budapest. I spent the Summer of 2016 at EProjectConsult with the Erasmus+ program and when I say this, I hope you already got that it was not only about work. Of course, it is a very important part of it – and the guys in office made my time absolutely enjoyable and useful! It is a great feeling to have a job, when you feel what you do is important for others, you feel improvement, you learn new things, you meet new people, you can be creative and do all this in a friendly environment. As everybody, I also have to highlight, that Sicily with its nature is amazing! So swim at the beautiful beaches, climb mountains for particular views, go on the top of a vulcano – I bet you haven’t done it before! And just speak, watch, listen, dance, eat (a lot), love, experience and enjoy! A big hug for all of you at EProject who shared these moments with me you know what I mean! Ciao! I am Elena from Greece and I spent three months working as an intern at EProjectConsult, in Sicily. I have only nice memories and words to share from this unforgettable experience. While being a part of EProjectConsult team I was involved in many different activities related to project management and public relations. I had the chance to see how EU projects work in action and gain practical knowledge by actively contributing to the project writing and implementation, as well as strengthen my communication skills through the daily contact with foreign partners. Moreover, working in a totally multicultural environment, I had the opportunity to meet amazing people from all over the world, broaden my horizons and make some good friends. The atmosphere in the office was very friendly as a result to feel member of the team from the very beginning. In addition to the professional experience I have gained, I had also the chance to travel around Sicily, as part of my job, and visit the most important attractions and cities of the island such as Palermo, Catania, Taormina, Savoca, Siracusa, Noto and volcano Etna. I highly recommend taking this internship and I would like to thank EProjectConsult Team for everything! Ciao! I am Viktoria from Lithuania and I would like to share my experience in Sicily, Italy. While being a part of “EprojectConsult” team as a Project Support Assistant I had invaluable time in terms of gaining professional skills and personal contentment. First of all, I had a chance to work with Erasmus+ mobility groups and help new students to get acquainted with the city, internship placements, cultural excursions and other activities. Also, it was a beneficial experience in terms of advancing my organization skills, critical thinking and problem solving. Learning more European Commission projects, priorities and objectives helped me to deepen my knowledge in this field and further pursue the degree in European Studies and political economy. Another advantage of my traineeship was related to constant interpersonal communication either with foreign partners, business organizations or students.Also, I gained valuable experience by actively contributing to the project writing, specifically to projects in the frame of Key-Action 2 and Europe for Citizens. Within the responsibilities entrusted on me, I had a chance to translate, edit and revise various documents and texts. All in all, my work experience was absolutely various and interesting.One of the most delightful times I spent was, of course, during the cultural excursions. We had a chance to travel around Sicily visiting the most popular and charming places of the island; including volcano Etna, picturesque Taormina, magnificent major cities Palermo and Catania, smaller, but not least charming Milazzo, Savoca, Montalbano, ancient capital Siracusa and yellow-stoned Noto! I highly recommend participating in Erasmus+ or cultural visits to Sicily! It was a great pleasure meeting and working with EprojectConsult Team! Ciao! My name is Tímea, I come from Slovakia where I also study management. I have been working as intern at EProjectConsult company in Sicily for three months – from January to April 2016. I am very thankful for this great opportunity that I could work in such energetic and absolutely multicultural environment (my colleagues were from Italy, Japan, Ivory Coast, Lithuania, Poland, Greece – COOL!). I was part of a professional team where I could take on projects from start to finish and see how really European projects work in action. Definitely, Federica and Nino gave me a chance to be active member of EProjectConsult team; I was included in staff meetings, brainstorming sessions and research in various subjects, helping in organizing events and participating in daily office tasks. Obviously my working experience is worthy to me because I developed and strength my communication skills and gained practical knowledge within the project management. Federica and Nino are great people not only as bosses but also as friends and they were helpful during the whole period of my internship. I am glad that I could meet them! In the free time, I could visit together with my colleagues-friends many amazing places such as Catania, Etna, Taormina, Savoca, Siracusa, Noto, Jalari Park and Palermo. Definitely I would recommend this opportunity to everyone who would like to learn new things, improve the knowledge and at the same time enjoy traveling around the Sicily. Thank you EProjectConsult team for everything! Ciao! I am Joshua López, and I spent 2 months working at EProjectConsult organisation in Sicily with an Erasmus+ program. The company gave me very valuable experience in the audiovisual area what I am really grateful for. I enjoyed working at EProjectConsult with colleagues from many different countries. Furthermore, the food is great, people are nice and you have a lot of things to do and really wonderful places to visit like Siracusa or Agrigento. This months in Sicily enriched me in a personal level. Now it’s time to return to Spain but I return with a backpack full of memories and an incredible experience. Hey! My name is Bálint, I’m from Hungary (studying in Germany), and I’ve been an intern here for 3 months, starting from the beginning of September. I have worked on the administration and practical parts of projects as well as a bit on an application for a strategic partnership. Barcellona Pozzo di Gotto is a nice small town not very far from the sea, with a very laid-back atmospehere, therefore it is more for those for whom “partying” means a glass of wine and good company instead of going to clubs. The weather is amazing and there are practically unlimited beautiful places on the island, no matter whether one prefers natural or historic-artistic sights. One thing that was especially pleasing in the internship is that I had the chance to visit a big part of the most important places in Sicily as part of the job and therefore for free (the Etna, Taormina, Aeolian Islands, Catania, Siracusa) and a few hidden gems (Noto, Savoca, Milazzo). Also, working in an international team and learning about the practical side of the European Mobility projects was surely highly beneficial as a supplement for my education in European Studies. I have arrived with zero knowledge of the Italian language and not much more about the culture – well, now I know a lot about the culture. As for the language, I definitely understand much more than before, but I think if someone arrives with a basic knowledge, they will definitely be able to have real conversations in Italian in a few months. I have gained a lot of insight in terms of how relatively big mobility projects are conducted from the application to the evaluation and down to the smallest details, which contributed a lot to my professional development. Also, the 6-hour workdays and long siestas helped me to keep energy for free-time activities, while working with a staff of very diverse backgrounds have contributed a lot to my understanding of different cultures. Overall, I would highly recommend anyone to go for an internship here. The amazing food, the spectacular sights, the surrounding history and the interesting work all would make the adventure worth it in themselves, but altogether they provide an unforgettable and highly beneficial experience. Anyone who has a chance should take the opportunity – I will definitely never forget my time here! My name is Umar and I had two months spellbound at EProjectConsult as intern from Turkey. It was my first time in Sicily and I had a memorable and wonderful experience working with the EProjectConsult team. My time at EProjectConsult was instrumental in helping me to pinpoint my strengths and interestswhile developing my skills in a number of areas such as European project writing, data research and organization. I also built on my networking skills whilst learning to work independently on my own initiative and most importantly working with amazing people from different countries. Also the internship had a huge significance in expanding my knowledge and understanding of European Union projects such as the Erasmus plus and the Europe for citizens projects. Finally the opportunity to travel to some islands in Sicily for sightseeing was amazing and wonderful feeling. Over all it was an extremely positive experience. Ciao! I am Sophie and I was a Belgian intern at EProjectConsult in the frame of Erasmus+ Mobility during the months of April & May 2015. When I first arrived at Barcellona P.G. it was kind of a culture shock for me, because Sicily is something completely different from the other Italian areas I’ve visited. I was very happy to meet my flatmates Agata and Heloïse and I enjoyed my second night during the special Easter parade! I enjoyed working at EProjectConsult with colleagues from many different countries. It was also a pleasure to meet Nino and Federica, who did their best to make the most out of this Erasmus+ experience. Although Barcellona P.G. is a small city with not very much to do, it started to grow on me in a certain way and I?m sure that I will miss it. There are nice bars and great food: pizza!!! gelatooo!! SPRITZ!!! I tried to visit as much as I could in 2 months and I must say that the nature and cities in Sicily are one of the most beautiful things I’ve ever seen! Sicilian culture is very likeable, as are the people and the weather. I return to Belgium with a backpack full of memories and an experience that I will never forget. Hi! My name is Héloïse and I spent 4 months working at EProjectconsult in Sicily as an intern. I have to admit that I’m really sad to leave, because it was an amazing experience, both on the professional and personal sides. Working in the office was very stimulating. I did a lot of interesting things related to European project management activities: call for partners, contact with the partners, blog writing, preparation of activities for a youth exchange, translations etc… Federica and Nino treated me like an adult and a responsible person and always trusted me even though I was the youngest and least experienced person in the office. It made me learn a lot and I really appreciated that, it was a very valuable internship for my own experience. As for how is life in Sicily, I have to say that I’m really going to miss it. Before coming I had no idea what to expect, I didn’t think people would be so warm, generous etc… Sicilians are the kindest people I have ever met, they are always willing to help you and they are never superficial. Besides (but of course it is famous worldwide for that), the landscapes are absolutely breathtaking. Barcellona is a small city, it is not so busy but there are very nice bars with great concerts and of course great people there! We were a big group of foreign interns and were always spending time together! Something else that I am really happy about is the fact that I was able to improve my level of Italian a lot. Even though we were mostly speaking English in the office, you will definitely have an opportunity to meet some Italian friends to speak with in Italian language. When I arrived here I had a very low level and now I am able to communicate quite well. Now I am going back to France, my home country, with so many positive memories, a different perspective towards life and people, and many new skills! My name is Ján and I spent almost three months on the internship at the EProjectConsult office in Sicily. My internship started from January 2015, when left my home Slovakia and flew to Catania – the second biggest city in Sicily. I have never been to Italy before so I experienced a bit of a culture shock from my first night spent in Catania. No traffic laws, great food everywhere, old ancient churches, small streets and especially Italians that were really helpful but really talkative and emotional when they spoke. After I left Catania I took a train to Barcellona Pozzo di Gotto – my final destination – and I met Federica my boss that showed me my appartment. Federica and Nino are two young people, that became not only our bosses but also our friends. My first day in Barcellona I met my flatmates French girl Heloise and Polish girl Agata. Together we tried to explore the beauties of Sicily like Milazzo and Aeolian Islands where we climbed to the top of the active Volcano. After we started to work we created our daily routine: work in the office until one PM then everyone takes siesta – almost every shop is closed from 1 to 5 in Sicily – then quick lunch and espresso and back to work. My main responsibility was contacting Slovak and Czech partners and overseeing their applications for the program. I also created certificates, brochures and after some time I also gave our participants a short guide of our town. With EProjectConsult we organized mobilities in the frame of Erasmus+ program and sometimes we would go with the participants, on their days off, to Etna or Catania. Every other week I tried to organize some trip and the most memorable was for me the trip to Cefalu and Palermo, where I explored the catacombas beneath the city. Generally, Sicilians are very positive people and I enjoyed their company in Malarazza or Marius bars, where we went out for aperitivo or some beer. I also tried to learn some basic Italian language from the lessons that we gave to our participants, but for the whole period of my stay here, I used only 6 italian words, with busta being the most frequent one (shopping bag). I really recommend anyone to take part in this internship because it is a great way how to get to know Sicily and gain new knowledge about European project management. Hey! I am Marzena Aleksa, I have stayed in Sicily for 3 months, where I have completed my internship at EProjectConsult organisation. The company gave me very valuable experience in the marketing area what I am really grateful for. Moreover, the internship period passed so quickly, that I could not believe that it is already the time to say goodbye to helpful Barcellona’s people, warm and friendly EProjectConsult office atmosphere, delicious gelatos and pizzas, and relaxed peace of life. The internship not only gave me the business experience but also I grew as a personality. Experience abroad is always useful and fun, experience in Sicily- unforgettable and unspeakable! Hey there! I’m Feri from Hungary and I spent 3 months with Erasmus programme at EProjectConsult in the summer of 2014. As you can imagine, Sicily in the summer is just wonderful. The food is great, people are nice and the environment is even better. Chilling at the beach is and exquisite type of spending your free-time and only those can afford who live near the sea. Well as Hungary doesn’t have a seaside, I spent a rather prominent time swimming and sunbathing. Working at EProjectConsult was great, as I learnt a great deal about managing European projects, met a bunch of new people, made friends while Federica and Nino are awesome to work with. I had a new idea of making infographics for dissemination of the projects and Nino immediately incorporated it. I would recommend for everyone to spend their internship at EProjectConsult as it worth it! Hi! My name is Egija and I come from Latvia. A part of my postgraduate studies in Denmark was an internship abroad that I did at EProjectConsult. I have spent here interesting and professionally enriching six months, I really appreciate this experience. My duties differed and I was busy all the time. The most interesting part was the involvement in all stages of European project management. We developed several projects for programmes of Erasmus+, Europe for Citizens and Creative Europe. Themes for the projects were various, starting from healthy lifestyle to democratic participation through short film festival. This enriched my knowledge about the topics and organization of various types of projects. Besides that, my responsibilities included document preparation for projects, search for partners and projects, research on various topics as other daily tasks at the office. getting to know other parts of Sicily by going around (as a part of your duties). I experienced all mentioned above- it was worth coming! Half of the year has run out (fast) for me here, as always, it is a bit weird when something ends. There will be things I will miss here like great local wines, Saint Honore and an amazing mountain view from my balcony but I am ready to go further for new challenges. Goodbye beautiful and hot Sicily and my dear colleagues, I am very happy that I came here and had this chance to meet you! They call you a Leonardo da Vinci Intern. They put you in an aeroplane and make you land in Catania. There, you can already anticipate how it is going to be here in Sicily: chaotic, tasty and charming. OK. You go on to Barcellona Pozzo di Gotto via Messina. You look from the window, you look at the coastline, you ask yourself how anything can grow out of a soil so dry. Soon you find it out. What can grow out of it are the juciest lemons and oranges from which even Fanta simply tastes better. On your first way to the sea, you see them grow wildly in gardens with no fence and gates. They are simply there. You reach the sea and dive into it just to emerge and see how close you are to Isole Eolie. You will get there one day. You will also get to your office and broaden your skills within the management of European projects. Excited? Not enough? So what if you meet barely young people from all over the world in the office including two young bosses with a sense of humor you sooner or later cannot resist? Fair enough? And how about that: what if you get Aperol Spritz in Malarazza every now and then just to fall for the charm of the locals and chill out with your friends? What if you cannot wait for a real morning espresso every day? And by real I mean very real. They spoil you with fat and sugar in any form here. They spoil you with hot summer temperatures that are a constant shock for those of us from the deep north. They spoil you with their irresistible food, breathtaking landscapes and – have I mentioned the real espresso yet? This must sound like a plan. Jennifer Dartevelle (Belgian), postgraduate student at University College Maastricht, The Netherlands. “When I first came here, I was shocked! I am myself Italian and still, I was shocked because Sicilians are dirty, noisy, cannot drive… the list is long!”, this is what one of my colleagues told me after Nino had just avoided with style what would have been my first car accident in the middle of a crossroads – 5 minutes after having picked me up at the train station, “… however, I think Sicily is one of the most beautiful places in the world”. Although I was at first extremely skeptical on my way to the flat on the day of my arrival, I now think that my colleague had a point: some streets could indeed be cleaner, some neighbors argue outside, and opening your eyes when you cross a street was one of the first pieces of advice I was given; however, while adapting myself to this new landscape, I also started to get to know the locals: very warm people who would do their best to help you, people who actually take you on a giro through this beautiful island to show you what the Sicilian culture is all about, who invite you to their place for a cena, etc. This also goes for Federica, Nino and the rest of the team who were very supportive during my internship for having given us challenging tasks: I was dealing with the management of European projects, almost from A to Z. I wrote end project reports, found new partners, developed training courses, and even wrote my own project, led skype conferences with my potential partners, etc.! I have learnt much more than I had expected. My 4-month internship has given me a comprehensive overview of what project management is as well as the necessary skills to reflect on the vision of Europe. The only drawback was that I couldn’t learn Italian as much as I wanted, with the team being so international! (I know, what a drawback By the way, it was such a pleasure to work with you, girls! Thank you for everything Marine, Desirée, Egija and Irena! This stay here in Sicily has definitely brought me valuable experience, not only for my CV but also for my personal growth. In short, I really would recommend anyone to do an internship at EProjectConsult. It’s time to look back on my internship in EProjectConsult in Barcellona Pozzo di Gotto. It is hard to sum up this unforgettable experience. I can but only thank IFEF, A Rocca Associations and EProjectConsult for having given me the possibility to have this awesome experience. I felt into the EProjectConsult like in a small family from the beginning to the last day of my internship. Working as a Marketing Communication Manager in a foreign company in a multicultural work environment has allowed me to grow personally and professionally. Living in a town like Barcellona Pozzo di Gotto has been a perfect opportunity to learn how Sicilian people live and to realise they are really warm and friendly. The coexistence with the entire Spanish group has been so great, furthermore we have become like a small family. I have discovered a wonderful island full of contrasts, chaos, with a rich cultural and historical heritage. Turning to the Sicilian cuisine- it’s very tasty: cannoli, arancini, cheese, pasta, pizza, etc. In summary, such life experiences make us who we are and I recommend all people to have an internship abroad at least once in their life. This feedback I write in my last summer day this year to say goodbye to the longest and warmest summer in my life thanks to Sicilian sun, beach and topmost to great people, especially to Nino, Fede, Teruko, Serena, Thanasis, Iwona, Gabee, Stan, Catalin, Nacho and all Germans, I met during my internship in EProjectConsult! My name is Gunita Pontaka and I had internship in EprojectConsult for almost six months in the frame of ERASMUS Student Mobility for Placements. I was working in office and mostly dealing with Lifelong Learning Programme (Leonardo da Vinci, Grundtvig and Erasmus) projects, Youth in Action projects and general day – to – day work needed in the office. I had a possibility to participate in the all stages of Youth in Action and Leonardo project realization, which in definitely very worthy experience for understanding the whole life cycle of the projects. In addition, the internship let me understand the work of the small-medium size enterprise, which always embrace dealing with various things. What is more, during my internship I saw Nino and Fede loving their work and saw that it is the only way to great results. I cannot imagine better and more relaxed atmosphere in the office and such chiefs who concerns about their workers and interns outside the work. The large part of Sicilian culture discovery was thanks to them as I was guest in their wedding, birthdays and swimming pool party etc. In my free time, I discovered the true pleasures of Sicily! Diverse nature with the fantastic beaches with crystal- clear water, the olive groves, and the flowering lemon trees, very spiny and sharp cactuses… fascinating landscapes of mountains, islands and volcanos Etna, Stromboli… Delicious food (my favourite are Gelato, Arancini, Pizza alla Norma). Cities with sublime architecture (Sicilian Baroque- very lovely) and always presents of vibe, which borders chaotic…While sunlight may increase the risk of skin cancer, I wish to stay longer under Sicilian sun and among warm and generous people I met here, so I am coming back one day, and I know the place will not change a lot, if only to the better. I working for EProjectConsult as a Community Management intern for 3 fabulous month (summer 2013). It was one of the best time in my life… not only because of location of the office (did I mention, Eprojectconsult is situated on the sunny island of Sicily?). I was dealing with community management (offline and online), trying to customize Social Media Channels of the company and keep the contact with our potential clients. As a part of the team we were managing European Projects within LLP Programmes (you know, Erasmus, Leonardo) for young european leaders. I believe the knowledge and experience I gained will be very valuable for my future career. Staytuned! experiences of my life. Why? First of all the environment of the office is fantastic! For me is really important to work in a place with harmony, good interaction and also a bit of informality (so important in “Top best companies to work for”). Second, this internship really fits my expectations about understanding better European culture. Either looking for information for the projects or participating in the activities themselves I could realize and get amazed interesting cultural differences and also similarities between European countries. As I am from Brazil those things were always really interesting to notice, especially good to compare the north European part (where I was studying for a while) with the south part, well represented for Sicily and its super friendly people. The Office’s international working style together with Sicilian’s daily life just broad my mind, essential for next career and life steps. Also, I would add that the friends I made here fully filled in my heart and made the experience just perfect! I got Erasmussed! Hooray! Hello! My name is Iwona and I come from Poland. Since March of 2013 I spent five wonderful months working together with EProjectConsult team, as an Erasmus intern, in the city of Barcellona-Pozzo di Gotto. When it comes to my work experience, I’ve learned a lot about European Funds, and Programmes like Lifelong Learning Programme (Leonardo da Vinci, Grundtvig and Erasmus) and Youth in Action. Moreover I could put my gained knowledge into practice, when dealing with development and implementation of the projects, from the application stage of many of them until the report writing and the results dissemination. As I am studying European Studies, such an experience will be definitely useful in my future career, as well as for my personal development.Everyone I met during my internship, especially Nino and Federica, were very helpful and took the time to explain any of my doubts and problems. The friendly atmosphere in the office made me appreciate working here. People with whom I worked were just amazing! I really enjoyed the time spent here, together with other interns and project participants, as it was a great opportunity to make new friends, with people who have similar interests and aims. We enjoyed all together visiting many beautiful places in Sicily and trying Sicilian food. Anyway, as Fede use to say after eating hundreds of Gelato’s and Granita’s, I am coming back to Poland bigger, but at the same time happier. In just two weeks, I will finish my internship period in Sicily with the Leonardo Project. I have been working like a graphic designer in the Company EProjectConsult, developing a new image for all the corporate stuff like the informative brochures, publications, triptych, business cards, posters and many more. As I am the journalist and freelance communications assistant, this period has been very useful to improve my professional abilities. Moreover, now the labor market requires professionals that can be able to elaborate all the process, starting from the strategies until the technical elaborations, and this internship gave me excellent practical experience to become complete professional in the future. I learnt a lot in EProjectConsult about publisher and I really think that the experience that I have acquired will help me to be a better and a more competitive professional, while in the middle, I made friends, visited wonderful beaches and awesome cities.I have learnt to work in a project from the very beginning until the end- thinking and don’t stopping until finding the best ideas and the best solutions!I worked in a multicultural environment with colleges from many different countries: I spoke in English and in Italian, also it was challenging to try to make me understand, so I learned the thing I must improve. And finally, this internship allowed me to attach in my CV different design jobs, to show what I have learned. But the human don’t live only for il lavoro and fortunately this period in Sicily has been too much enriching for me. Really, my live in Sicily has been fantastic, full of rich experience, knowing different and amazing cities like Palermo or Catania (I love Catania), wonderful and lushes landscapes, unforgettable beaches and delicious food (i cannoli are the best sweet ever). Also I have felt immersed in the real Italian south culture. I was reading, speaking about Italian music and literature, and I shared with the others our culture. I bring in my bag a lot of books of Leonardo Sciascia, Pirandello and many more. Also I have known and great Italian music bands and the composers like PFM or Luciano Cillio. Ciao a tutti! My name is Cătălin Tarhon, and I am the first Romanian student, came from Alexandru Ioan Cuza, University of Iași, Faculty of Philosophy and Social-Political Sciences, who shared three months as an intern within Erasmus Placement Programme with the delightful team of EProjectConsult. I will try in few words to do the impossible and to cover a segment of life and a cultural adventure of experience I had in the realm Sicilian island, with remarkable people and wonderful places, astonished into the joy and eternal esteem that I will wear.This internship gave me the opportunity to taste a little bit of everything that scrupulously represents a Sicilian symbol, a way of working, a way of life and an elastic form of thought and perception of lifestyle and even time. When it was about working, I can happily say that in the EProjectConsult office I had part of a professional team in direction of the European project management, which didn’t treat me as a practitioner, clumsy and always childish in thoughts and actions, they treated me in all seriousness and professionalism and encouraged me in all working forms that we was working together, always transforming the work in a playground for older children, with efficient games and good mood. The working activities I have dealt in the long of internship have strolled between writing European projects, informing for new opportunities and continues maintaining in touch with our partners from the European and extra-European area alongside with many other activities pertaining of the proper functioning of the office . EProjectConsult was more than a venue for hosting my work as an intern, EProjectConsult office was a wide open window in knowing remarkable persons, who have had a significant and strong positive impact on my humble experiences on ways of perception of the organizational functionality, responsability, of life itself and beauty. About the people outside the office, those genuine Sicilian whom can be seen always vigorous and agile, waving their hands as if, that form of gestures is the only way for understanding each other, who drink coffee more often than water glasses and eating with more spore than drinking coffee, although you never can tell, seeing flexible forms of agile bodies; about those Sicilian people which wear in the family trees numerous roots, which in their mixture created a race of universalists people, wide open, emotionally warm, blushing with an gracious candor, which wear in actions and words beautiful shapes of Asian love like raised and educated by the hot hands of Etna, I can bring only beautiful words, expressed altruistically and powerfully, being downright a joy of having met them. I ever heard that Sicily is a poor region of Italy… Maybe I can agree with this, but I assure you, my dear reader, that is full of rich people, and this, is what really prevails. As well as perfection without a flaw is not a perfection, I can honestly say that the only flaws that grinded my internship alongside EProjectConsult consists in far too limited time (only 3 months that seeded in me a fixed idea of returning and continuing that intense cultural and spiritual adventure) of the training and the weather too hot (for a body accustomed to a cold late winter in northern Romania), otherwise, all resulting in a strangely good way, more beyond my expectations. I regret that I can’t gather in a handful words for describing a wonderful experience of all that meant a cultural segment alongside EProjectConsult team, and letting only glimpses as the lengthy flowing dreams, still wanting to bring from the depths of my soul a warm thanksgiving for everyone who made it possible to live an unforgettable spring, those, that was more than coordinators or colleagues, those who have become good friends, reminding of Federica, Nino, Teruko, Serena, Thanasis, Iwona, Susann, Gunita, Nacho, and many others which would do this list really long, and if they are not here, they surely will be found alive on my lasting plateau of memories. My internship at EProjectConsult was really interesting. The time here in Sicily was quit flying. In the office of EprojectConsult I had the opportunity to work and have fun with people from Poland, Romania, Greece, Latvia, Spain, Japan and of course Italy. Each day was a day of mixing languages and get more and more in touch with the people and become real friends, here the European slogan of united in diversity get realized.During my internship I prepared some workshops for different projects, which was a creative and fantastic work. I learned how to organize a workshop and I got so much information about different topics like the omnipresence of plastic, how to move and stay active.The internship, the people I met here and the weekend trips e.g. to Stromboli island, Cefalù, Taormina and Palermo, made the experience of the Leonardo internship unforgettable, which I can only recommend to everyone. Susanne. Hi everyone!I am Ivka and I am about to finish my Erasmus placement in EProjectConsult. I would like to say that this internship has been a great experience. I had an opportunity to meet really nice people, to participate on the various projects and enhance my organizational and communication skills as well as get to know many new things.I am thankful to Nino and Federica that I could come here, learn and at the same time to have an amazing stay. They are definitely the best bosses I have ever had. I really recommend you to try it on your own, because I really enjoyed spending these three months here. Hi, My name is Gosia and I am from Poland. I’m an intern (I’m doing my Erasmus Placement) in Eprojectconsult. It’s my last week here so I would like to write something about the time I spent here, in Barcellona Pozzo di Gotto in EprojectConsult office. I’m sure it was an unforgettable experience! Why? The reasons are numerous! Firstly, the most important for me, I had an opportunity to progress in different domains. As I’m studying languages, I wanted to develop my languages skills and I succeededJ For example I was translating in Polish, English, Italian and French. Moreover, I was dealing with different programs funded my UE (like Leonardo da Vinci and Youth in Action) what let me to get to know better opportunities connected with these programmes and I’m sure it will be useful for me in the future. Moreover, the thing which made my stay in Sicily unforgettable are the people I met here! I have to admit that Sicilian people are extremely nice, opened and generous. Also all the people who I was working in the office with Federica, Nino, Teruko and other interns, Melike, George and Ivka, were so helpful and nice! Finally, just Sicily! I travelled quite a lot, I saw beautiful places like for example Catania, Palermo, Taormina, Siracusa, Agrigento… Sicily is definitely an amazing place to do an internship. Nice weather till the December, wonderful views, sea so close, delicious food… What else do we need? Hello! My name is Anna, and I been an intern at Eprojectconsult during 5 months. I study business administration in Latvia (Daugavpils) and for me internship abroad been a great experience. Work at Eprojectconsult helped me to understand how work small companies in Italy, their relations inside and outside of company. In office everyone is very friendly and interns feel themselves like a part of staff from the first day. I been involved in project developing and running, contacting the partners. I learned a lot about European funds, programmes like Youth in action and Leonardo Mobility. In office you can meet interns from all the Europe, it’s a great possibility to find new friends and get new knowledge. Company also assists in renting accommodation and Italian language courses. For me it is a big plus, because, usually employers didn’t assist in things like this. If you want to get qualified internship, learn how to develop and run projects, Eprojectconsult will be the best choice! I also participated in a Youth in Action-project in Parco Jalari with people from all over Europe. But especially the friendly colleagues made this internship a very special moment of my life. I can honestly say that I had a very good time in Sicily and can look back on a successful internship. Don’t hesitate to join this marvelous team. Ciaooo!! !My name is Agne. I came from Lithuania to do my internship in A Rocca Organization with its International Department EProjectConsult in Sicily… and… I had the best time in my life!!! (So far, of course :)).I was working with other interns in EprojectConsult office and all of us were doing the tasks that we really like or that are connected with our major at university (mine was Management and Business Administration with a specialization of Accounting and Audit). Federica and Nino were always concern about how we are doing, if everything is fine, if we need any help and so on… They were the employers with whom you can do both, work hard and have fun! I am giving a BIG PLUS for that! While working here, I have gained valuable experience that will be definitely useful in my future career and for me in the future in general. And leaving all the work behind… I’VE LIVED A WONDERFUL LIFE HERE!!! I don’t know if you believe that a person can be extremely happy every single day but believe me – I WAS! Beautiful nature… nice weather… good musi… traveling around Sicily (I’ve visited Messina, Palermo, Catania, Syracuse, Taormina and beautiful places of nature – Isola Bella, Cava Grande and Mount Etna)… and the most important – warm, relaxed and friendly Sicilian PEOPLE…! Now, after all these good things I just don’t want to leave! (And my train is in a few hours :)))) But I’ve made a promise for myself – I’ll definitely come back here (I still have to visit Eolian Islands, haha.. :D). I am Laura Aleknavičiūtė (better don‘t even try to pronounce my surname) from Lithuania (I hope you don‘t need to look into map now). I was the intern for 3 months in the non-profit Associazione Artistica Culturale A Rocca/ organization named EProjectConsult, which is located in the city Barcellona Pozzo di Gotto, Sicily, Italy. And you know what? This period was really the best in my life! (I must mention, that I also was in the Erasmus in France, so it’s not my first time going out from home). There are two sides of having internship abroad: the work and everything what is after work. I want to share all my life now. 1. THE WORK. I study International Business in my country. So I asked, that my tasks would be connected with management and also some kind of art, because I really like different kinds of it. And that’s what I got! My main task was to fathom into European Culture Foundation, make the analysis of the Foundation, research on the web of possible ideas for future application of projects, create my own ideas and suggest it for employers. This foundation is for funding cultural projects, so, that is why it was very interesting for me to look for the information and get knowledge from this and express mines. I also was working with Youth in Action program – Action 1.1 and 4.3, also all other technical tasks, like fulfilling documents, replying to e-mails. Everything is truly useful for the future. Also, I could tell, that employers, Federica and Nino, really entertain and try to give tasks from our (interns) specializations, care if we are glad about our work, if not, try to find and change to something suitable, that we would feel, that we got and learnt something useful after the practice period. Also, they want us to teach new things, help us and explain things if needed from its basis.What else would you need for your practice, you are among young people, your employers are also young and modern persons, who are always ready for innovations and like to communicate with you and the world. 2. FREE TIME. Actually, it seems, that every day we had things to do…we were so busy of being involved in the cultural life, to walk around the city, go to the beautiful port, beach, Capo Milazzo (wonderful landscape! ), to go for delicious gelato, coffee, Italian pasta or pizza, meet friends, or yes yesyeees, of course, to party!! Also during the practice I’ve visited a lot of cities in Sicily. They are very charming–you can find delightful downtowns and amazing nature. And I’ve also metvery, I mean VERY great people! So believe me, Sicilians are really fun, relaxed, helpful and interactive people! I think Sicily has everything – SUN, BEACH, MOUNTAINS, Historical and beautiful cities, Good NIGHTLIFE and amazing PEOPLE. Oh Yea! So, my last words for you would be – please pleasepleaseeee fulfill the documents and go somewhere to do your internship! Eprojectconsult is a very good choice, by the way. The Best. YOU can change me there. Please, now tell me, how should I say Good bye for this paradise? I just know, that I will come back. Hi all! This is Dorota again. This time it’s already my last post here. Finally, after 3 months my internship is over. I have spent three wonderful months working in the EProjectConsult office together with Federica, Nino, Teruko, Gianfranco, Alex, Agne and Laura.What can I say about this period? Honestly, it was one of the most interesting time in my life. Why? I am not writing this for no reason. I really feel like that I learned something new and important. During my internship I was dealing with many European projects, such as Leonardo da Vinci, Youth in Action, EVS, and ENPI. What is important, I had also the unique opportunity to participate not only in the preparation of a projects, but also I become a real participant when, thanks to courtesy of Nino and Federica, I took a part in eARTh project. What is important for me, I was preparing also translations and thanks to that I honed my Italian and English. Of course, my life in Sicily was not associated only with the work in the office. I had the excellent occasion to visit many interesting places on that gorgeous island. I met wonderful people here and I gained valuable experience. I learned also a lot about Italian culture and customs. These are things that I will never forget! I’m really glad that I had the possibility to work with all these wonderful people. I’m already missing you. Hi everyone! I am Clothilde Bonnier, a French nineteen-year-old student at ECE in Lyon, in France. I spent 3 months in Sicily for an internship at EProjectConsult, in Barcellona. My tasks were mainly related to the Marketing research in the framework of European LLP programmes such as looking for potential partners, contacting them, trying to establish partnership, applying for projects. Being involved in labour world enabled me to gain autonomy, to have more initiative. Knowledge acquired during my training is still useful because each student is concerned by Erasmus placement, Leonardo da Vinci etc… And now I know much more about EU programmes. Thank to this experience abroad, I improved my linguistic skills and I have a more precise idea regarding my future job.But the marketing research has not been the only one part of my mission, I also had the opportunity to be involved in project management. Indeed we received a group Bulgarian students, and I was so nice it has been a really interesting experience. I discovered at the same time how much it is enriching to meet people from another country, with their own culture, and how much managing projects is difficult. There is a lot to say about my professional and personal experience in Sicily. The best has been people I met: EprojectConsult staff who is young and dynamic, they did their best to make my trip agreeable and unforgettable, Sicilian people who were so friendly with me. I enjoyed every day of my stay! About the location, Sicily is a beautiful island with a very rich culture I had the chance to discover, there are so many places and monuments to see. So don’t hesitate to come to have an interesting training, to meet nice people, to visit Sicily! My name is Peter Nemeth. I study in Budapest University of Technology and Economics. In summer of 2011 I was working for EprojectConsult as an intern. During my stay in the beginning I was dealing with european projects, especielly with the hungarian partners. After that I tried to build the new field of the company: Artists Residency, wich was realy intersting and I gained usefull knowledge for my future career. Summery I could say I have learnt a lot about the company’s life.There are two things I have to mention beside the work: First of all the amazing sicilian people and the awesome nature! Those two made my summer never to be forgotten!I have to say thank you to my bosses and to my flatmates who took a part of my sicilian life! My name is Elena Rasheva, 4th year student in Queen Mary, University of London. In summer 2011, I spent 6 weeks in Sicily working as an Intern in EprojectConsult. My tasks were mainly related to the Youth in Action Program: applying for projects, contacting and communicating with actual and potential partners. Being exposed to the real business world helped me realise the importance of time management, ability to work in team and patience. The practical knowledge gained during the internship is also useful- now I know much about EU and EU projects and I already have some ideas for my future job.I had the great opportunity to assist in the organisation of the European Humour project. I saw how difficult preparing a good and interesting project is, but I also had the chance to participate in it. Being another participant in the project allowed me to actually talk to the people and see their first reactions and impressions.There is a lot to say about my work and my whole experience in Sicily. The most important are, however, the people I met: employers, other interns, locals. The friendly atmosphere in the office made the working process easy and agreeable for everyone. I enjoyed every single minute of my stay and I wish I could stay longer. Ciao a tutti! My name is Karolina, I am from Poland. I study at Warsaw University of Life Sciences. I spent wonderful summer in Sicily with EProjectConsult team. Thanks to them I could learn a lot about European projects organization, management and I could make my first steps in the international business world. Employers were always very flexible, helpful and looked positive for our ideas that we could implement. Work here was a great experience for me and I believe that all I gained here it will be very useful during my future career path. My stay on Sicily was amazing time mostly thanks to people I met here. Sicilian are amazingly hospitable people, thanks to them I felt like home here, thanks to them I felt that I belong to this place. Besides work and people, Sicily is an incredibly beautiful island. For all these reasons my 3-months Erasmus Placement was an unforgettable time. Ciao everyone!My name is Sjoerd Habing and I am from the Netherlands. I study at the Utrecht University of Applied Sciences and I finished the Erasmus placement of my studies at EProjectConsult, and one of its brands SiciliaWedding.My stay in Sicily was great! At work I had the chance to work on some of my own ideas, and the work at SiciliaWedding was very diverse. After a while I could see that things changed because of my work and it was great to notice that. At EprojectConsult there is always room for good initiatives and this flexible attitude creates a very good atmosphere in the company. The people working here are very friendly and made my stay here even better, I will always remember them. Of course, Sicily is an amazing place and I would recommend everybody to visit it. If you have a chance to go there for an Internship or placement, you should certainly do it! Ciao my name is Ewa I`m a student from Universiy of Nicolaus Copernicus in Torun, Poland. I spent 3 months in Sicily with Erasmus Treinee Program.This time will stay unforgettable for me because I spent great time in amazing Sicily with fantastic people who really gave us possibility to learn new things, treated us as their partners at work and friends behind the work. I had possibility to work with young, very professional, well educated people who really like what they do and want to share their experience with others. it was great experience, I learnt a lot, I was welcome with own suggestions, ideas, had possibility to try to check myself in many various tasks, learn how to search information. For sure this experience I gained here will be very useful for me in the future. Thank you for all. The A Rocca Company is a young, but fast growing international organization. I spent 3 great months there for my Erasmus internship placement. Full of new experiencies. The job is mainly computer work, but I learned a lot about international business, marketing and EU funds. And of course, I improved my English knowledge a lot.Another part of my job was outdoor activity organization for participants of the A Rocca Company’s international youth projects. It was interesting and in the same time useful for me.All the employees at the company are very helpful, hospitable and friendly. You will not get bored here, because the people working here are relatively young. And Sicily, where this company is located, is wonderful! There are a lot of really impressive places to visit! Regards and Welcome to Sicily. Before coming on this intership, Sicily was for me like undiscovered land. The image from God father and some barley stories about Sicilian mafia was the only thing which I knew about this island. But the fact that year before I made Erasmus in Italy encouraged me to come again to this beautiful country. And I wasn’t disappointed. In my opinion Sicilia was the best place to make Erasmus placement from few reasons: historical and cultural heritage, beautiful seaside, excellent food and what is the most important warm and hospitable people. Of course I had to get used to typical south style of life when on everything you have to wait proper amount of time, and that in the afternoon everything is closed because of the siesta. But it didn’t discourage me and I enjoyed this wonderfull island of orange and lemon trees. I have to also emphasise a fact that I always could relay on my office team, where I felt like in the international family. 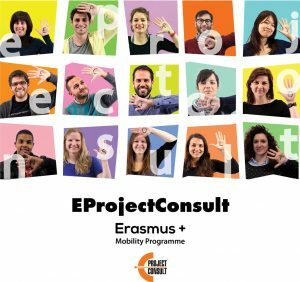 Sicilia and Erasmus Placement in EProjectConsult was an unforgettable experience which gave me a lot of confident and helped to improve my Italian language. I truly enjoyed my stay in Sicily and now, in the end of my stay, I see how much I am going to miss it. It is one of the most exotic, beautiful and foreign location I have ever visited.I won’t deny sometimes, it was hard to feel like at home here, but sun, sea and warm weather gives you feeling you are more on luxurious holidays than on the study mission. Hope you enjoy Sicily as much as I did. Nino and Federica were all the time very friendly and helpful to me and I know that one day I will definitely come back for a visit. Hi, my name is Barbora Majurníková. I live in Czech Republic.The time spent there was briliant. I was working at the Studio Pietrini Consultancy Office.The work here was very interesting for me. I was usually working with internet.The experience I gained I will I certainly use in the future. Sicily is very different country then Czech Republic and I am going to visite it again. Hi, my name´s Kristýna Bucherová. I from Czech Republic. Stay on Sicily was great.My work was near home and it was very interesting. People here in work were compliant and friendly. Work on Sicily was a great experience for me! Aleksandra Zerkowska and Katarzyna Kowalska, students of Ethnology and Cultural Anthropology, Univeristy of Nicolaus Coprnicus Torun Poland. Hello there, We are student of Ethnology And Cultural Anthropology from Poland. We spent in Sicily our Erasmus Trainee Program with A Rocca Association and Parco Museo Jalari. It was great time, grand experience for the future job but also cultural adventure Sicily has impressive cultural heritage gathered for long time of various dominations. Beauty of architecture and relicts is in harmony with landscape. We worked there with professionals, in creative, dynamic team. Unforgettable experience! Three months spent in Sicily were full of new experience. My training gave me a wide range of abilities and knowledge which I want to use in my future career. In Barcellona Pozzo di Gotto I have met people who proved me that with hard work and belief in one’s plans and dreams it is possible to make them real.